Top 3 First Time Home Buyer Worries. You are not alone. Being a first time home buyer can be pretty scary. It wasn’t that long ago that we sat at the closing table, staring at that seemingly endless pile of paperwork, thinking to ourselves, “Are we really doing this?” At that time I was not a Realtor, I was just like you – but I have never forgotten that butterfly sickness that came over me when it was time to close. So even though I now close 3-4 transactions a month, I am still very much aware of the sensitivities and stresses of the closing table. I was curious to see if my personal initial fears were shared by many others. 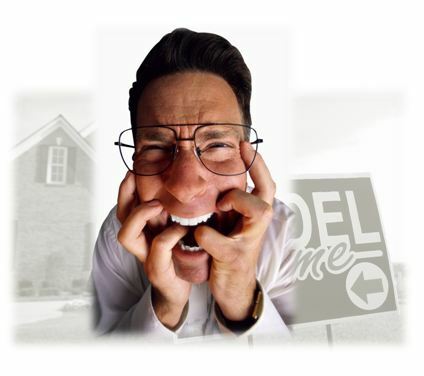 I harnessed to power of Facebook and asked a survey question on my Fan Page, http://www.Facebook.com/MatSellsKC and I wanted to discuss the top three first time home buyer fears an also discuss some ways to ease that fear a little bit. When buying or selling your first home, or if you are thinking of buying a home, what is your greatest fear or concern? Buying in the right area. Can I afford it if something happens to me financially. Can I afford the maintenance? Okay, I have to bite, we have all heard this term – there are only 3 things that matter in Real Estate – Location, Location, Location. 39% of my friends who took the poll agreed. So what does location really mean, and how can you make sure you are buying in the right area. Commute Time to work – Do I get a smaller house and shorter commute, or do I add 10 minutes to my drive time and double my square footage? Schools– Do the public schools in the area provide the education and extra curricular activities we are looking for, or will be looking for in the near future? Local Amenities – Are the stores close by? Do we have access to the arts/entertainment? How walkable is my neighborhood? Public Transportation – Do I have access to bus lines, trains/light rail? Privacy – How close to my neighbors do I really want to be? Can they look right into our bedroom window? Take some time to talk about or discuss these main issues to help streamline your decision making process. As a neighborhood expert, I can help guide you through some of these decisions and show you all the homes that fit your specific needs and criteria. I will be tackling fears 2 and 3 on a future blog post. In the meantime, let me know in the comments section below, what other considerations are you thinking about when looking for the right area to buy a home in Kansas City? Download our FREE First Time Home buyers eBook that talk about the step by step process that myself and my team will help with. If you or a friend or coworker is thinking about buying a home or selling a home in the next 30-60 days let us know! We would be thrilled to help your friends and family. This entry was posted in First TIme Home Buyers in Kansas City and tagged Buyers, first time homebuyer, Johnson County Real Estate, Kansas City Real Estate Market, location, selling a home. Bookmark the permalink.